re-ment, rement, japanese dollhouse miniatures, puchi, mini, all, disney, toy story, happy birthday party, hamm, pig, piggy bank, game, cards, green army men, witches hat. 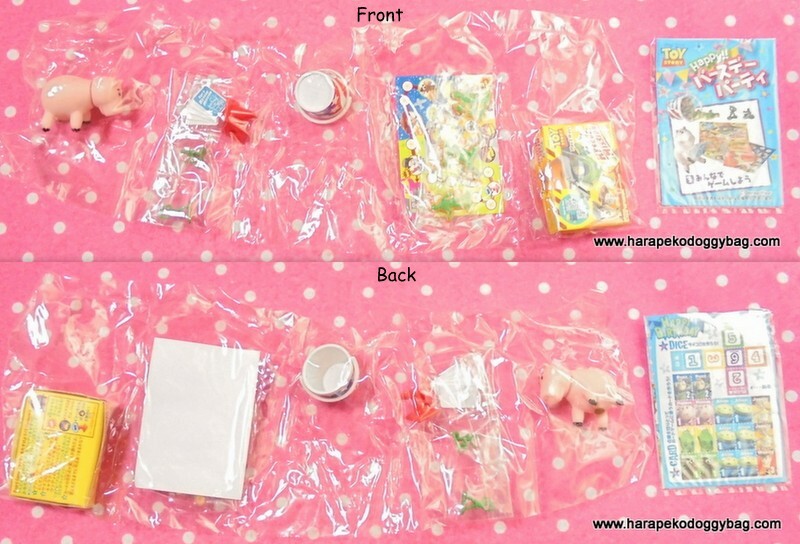 YOU WILL ONLY RECEIVE NEW ITEMS IN ORIGINAL PLASTIC PACKAGING WITH A BOX. Here is #3 from the Re-ment (rement): "Disney : Toy Story : Happy Birthday Party " series. Keywords: re-ment, rement, japanese dollhouse miniatures, puchi, mini, all, disney, toy story, happy birthday party, hamm, pig, piggy bank, game, cards, green army men, witches hat.